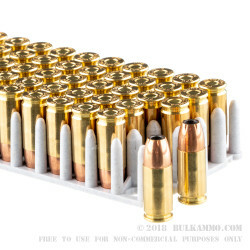 A massive 2000 round case lot of 9x19 ammunition with a great history of excellence and reliable ignition, feeding and extraction, this is a case full of 9mm ammunition by Prvi Partizan. 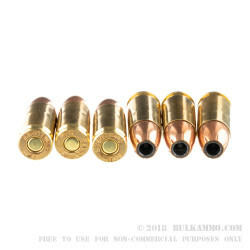 The Serbian production plant generates significant revenue (more than 70 million euros/year) by producing a fairly niche product: military classic loads which utilize modern components but are true to the original performance for the most part. 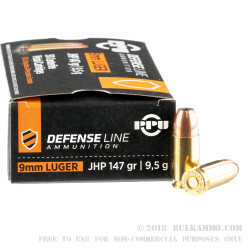 Such is the case with this hollow point ammunition: it features a 147 grain hollow point projectile in a brass case with a boxer primer which makes it easily reloadable, and the 147 grain projectile, while not featuring the highest level of engineered expansion, does offer a compelling case for the use of such a projectile which will reliably feed in any firearm made in the modern era with very few exceptions. The potential for increased expansion and high weight retention over other offerings at this price point is present. 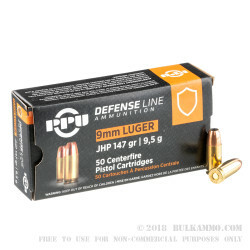 This is a 2000 round case lot offering of a proven 9mm load by a company that has a valuable reputation for delivering on promises and has many law enforcement and military contracts as well as a full line of reliable cartridges in its portfolio.